Daler-Rowney are acknowledged as the world masters in the making of artists’ pastels - and to complement the range of almost 200 tints, there are specialist surfaces and fixatives. The finest pigments are blended with chalk and china clay to produce the vibrant colour and smooth velvet texture of Artists’ Soft Pastels, each one carefully wrapped by hand. 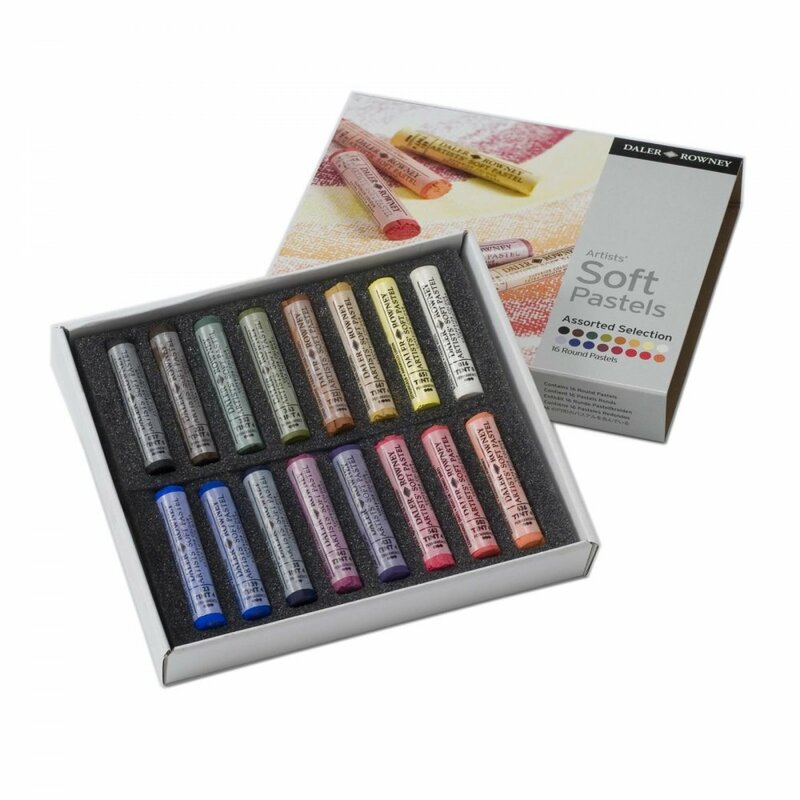 The rich, deep colour, texture and immediacy of Artists’ Soft Pastels is ideal for all kinds of drawing and painting as well as quick colour sketches for preparatory work.